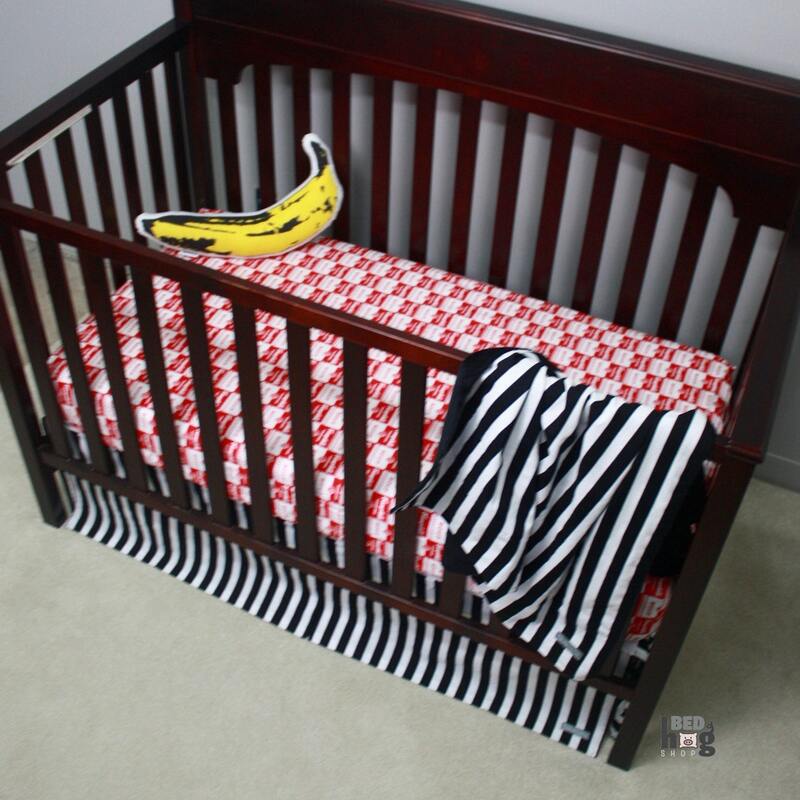 *35" x 45" Black and white stripe blanket with smooth black minky backing. 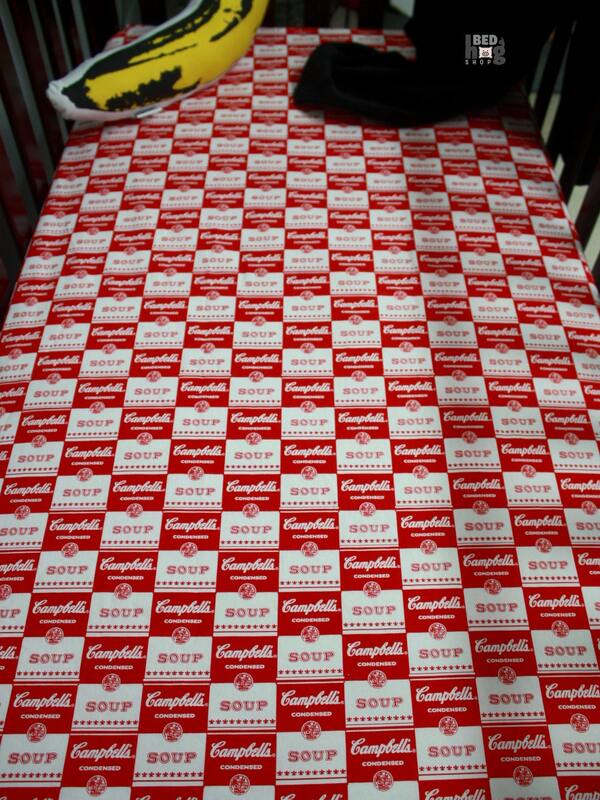 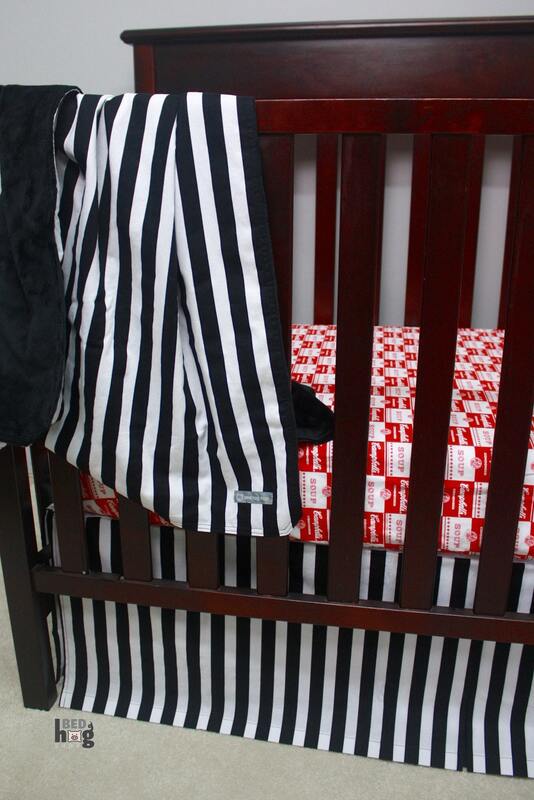 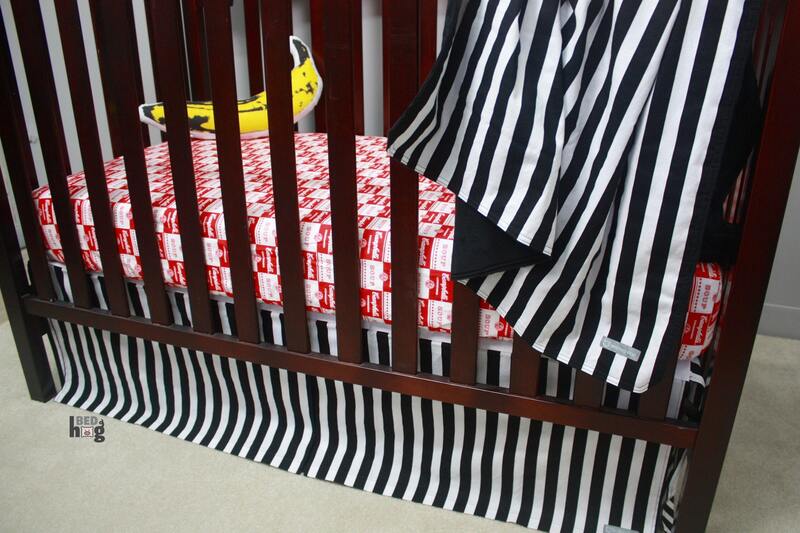 *Tomato soup can fitted crib sheet with french seams(fits all standard 28" x 52" crib mattresses). 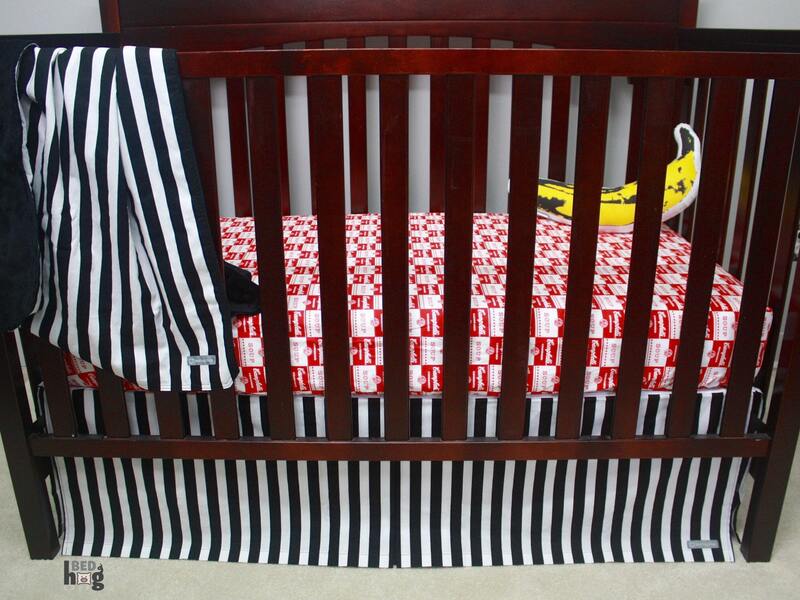 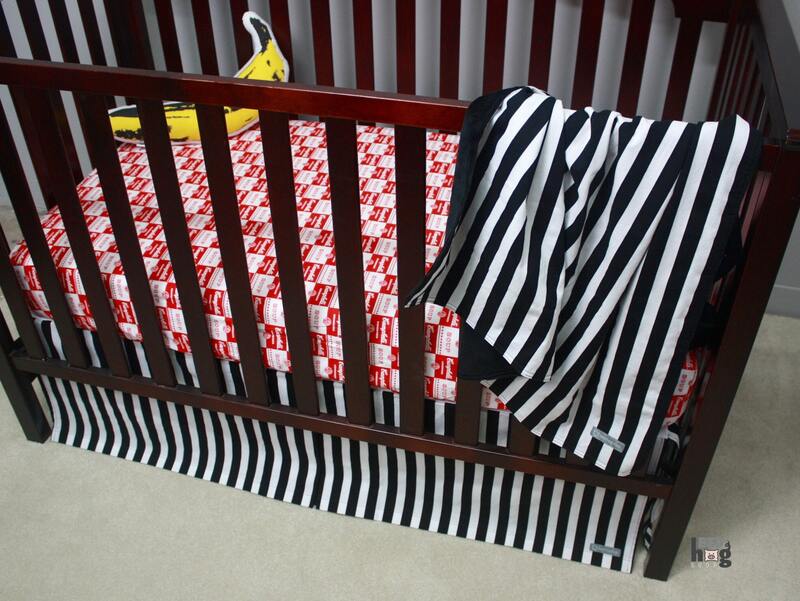 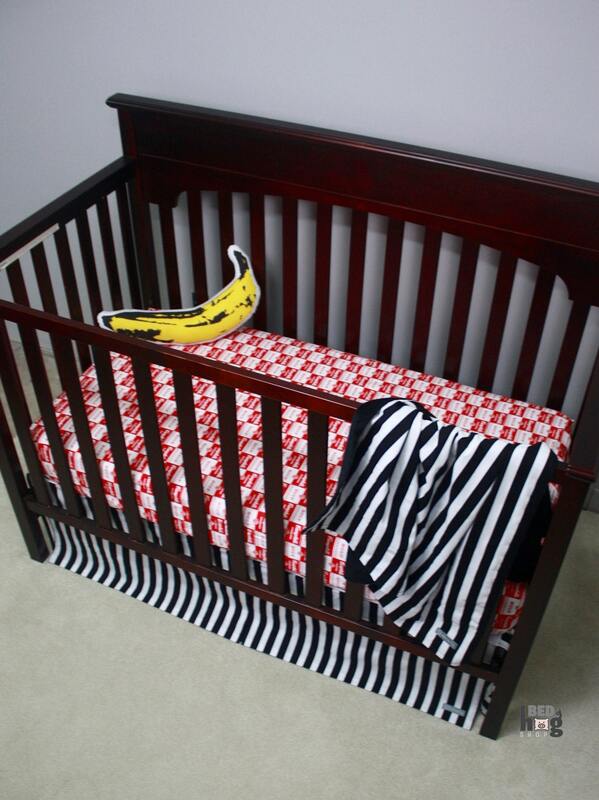 *Black and white stripe pleated crib skirt with solid black 'peekaboo' panel, 4 slits and 4 panels(deck measures 26 1/2" x 50 1/2") with 14" drop.